21 November / The new EV chargers that were installed in downtown Tartu can be used to charge most electric cars. The chargers were set up with the support of the SmartEnCity project and they will be maintained by OÜ Elektritransport. The new fast chargers are one of the first public chargers in Estonia that follow the CCS (Combined Charging System) charging standard. “This means that the chargers can be used on all electric cars. The national ELMO charging network only uses the ChaDeMo charging standard that can only fast charge Japanese cars,” said Rain Neemlaid, the representative of Elektritransport. He added that installing chargers with the CCS charging standard is very important because tens of new EV models will be released in Europe in the upcoming years that use that very standard. The new fast chargers work 30% faster than the existing ones. This means that instead of 30 minutes, it now only takes about 20 minutes to fully charge an EV. Charging a car with the new chargers costs 15 cents per kW/h, which means that for every 100 km distance covered, the electricity cost is about 2 to 2,5 Euros. Raimond Tamm, the Deputy Mayor of Tartu emphasized that a charging network is crucial in developing e-mobility as it acts as motivation for customers to purchase electric cars. “Using electric cars will have a positive effect on our city environment as air pollution and traffic noise will be considerably reduced,” he said. 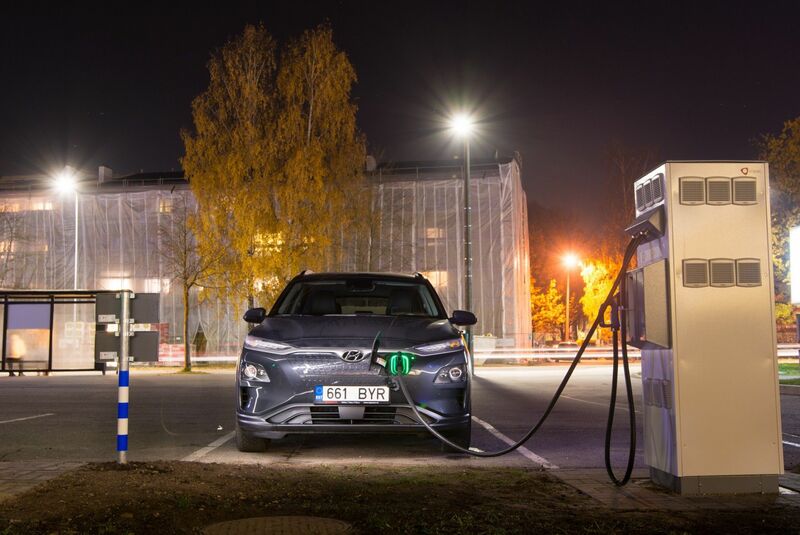 The new fast chargers are situated between Aura Water park and the sports center on Turu street, on the corners of Turu and Soola streets, Küüni and Uueturu streets and on Poe street.